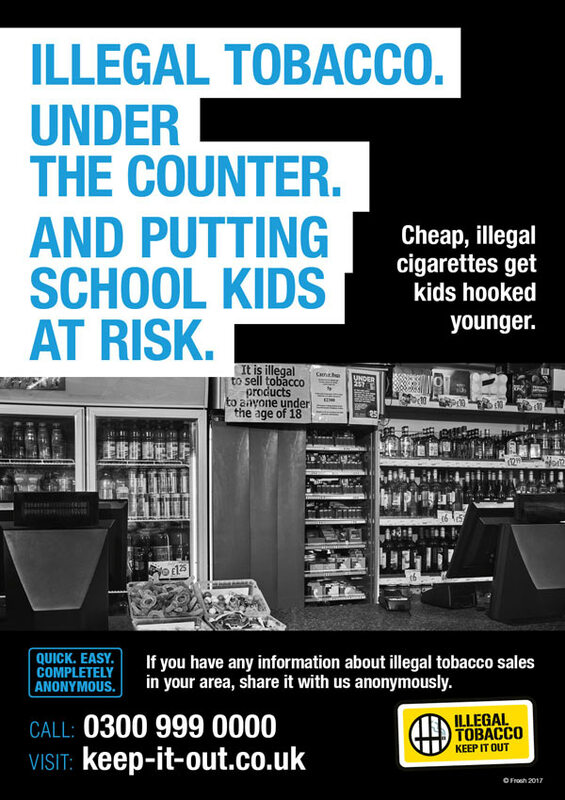 Figures show children are regular customers of dealers as new campaign is launched. 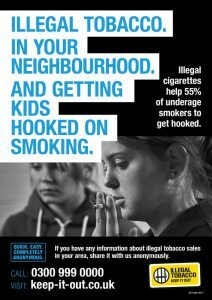 Illegal tobacco has helped over half of underage smokers in the North East get hooked on smoking, a new survey suggests. The figures, from the 2017 North East Illegal Tobacco Survey, are released as Fresh launched the new “Keep It Out” campaign aimed at helping the public to spot illegal tobacco, report it and to encourage smokers not to buy it. Ailsa Rutter, Director of Fresh, said: “One in two smokers will die from their addiction, and no-one wants their child to start. 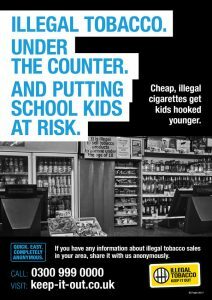 Peter Wright, from the North East Public Protection Partnership, said: “People might think they are getting a bargain, but illegal cigarettes comes at a very high cost to local communities and buying it means supporting it. “A lot of people kid themselves they’re buying duty free. 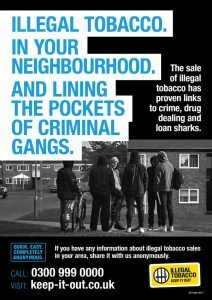 But the trade is linked to organised crime and at the top are organised criminals with UK smokers in their sights. 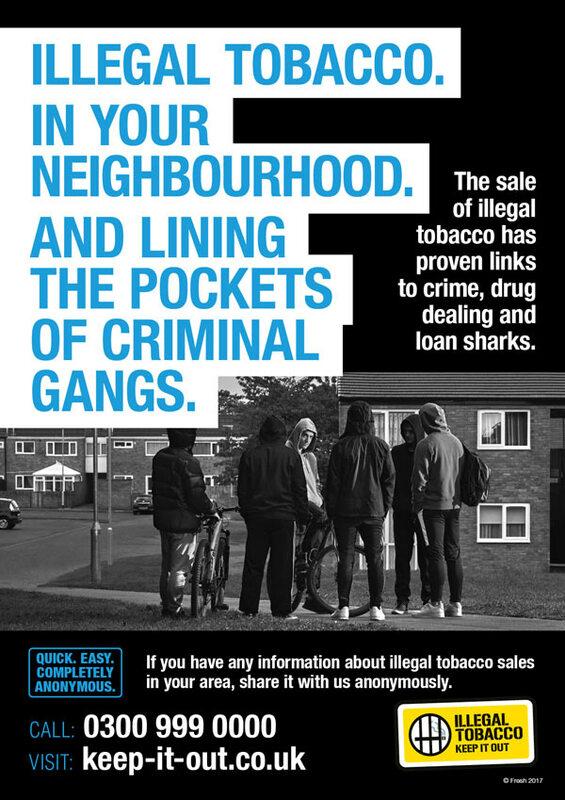 Local criminals also regularly come into neighbourhoods to supply their dealers. “Even if you don’t think local sellers are selling to kids, many are, and there is strong intelligence of kids in school uniforms buying from tab houses. 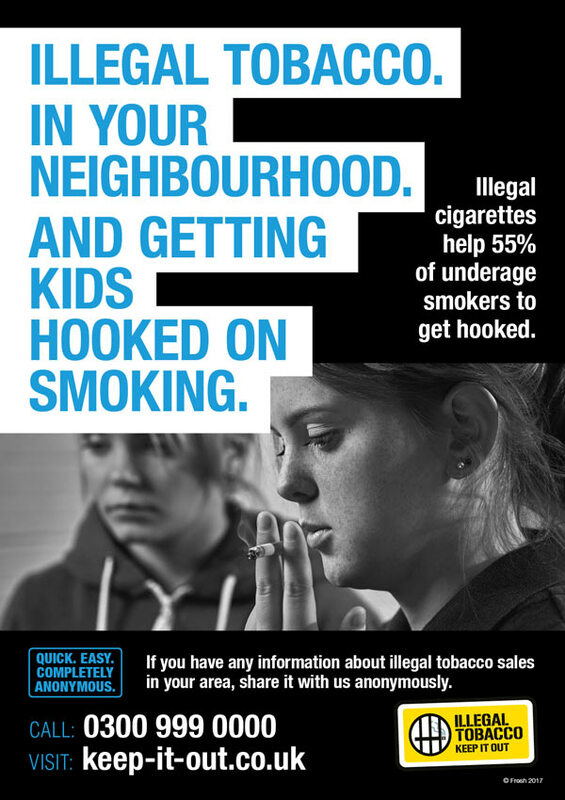 This highly targeted campaign used extensive insight to launch on digital and radio, and aimed to encourage the public to spot illegal tobacco, report it anonymously and encourage smokers not to buy it. 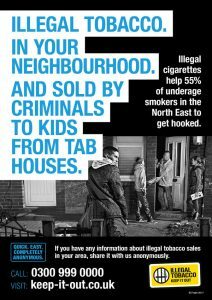 To date there has been a record response to providing information online or via the illegal tobacco hotline 0300 999 0000.